AHI Swim Team: A program of excellence instilling a lifelong love of swimming. We are a Spring/ Summer Recreational Swim Team, located in American Canyon, CA, (Napa County,) part of the Twin County Swim league, serving approximately 140 swimmers age 4-18 in our community. The team is organized and managed by a volunteer parent board, and parent volunteers run the meets. AHI MISSION: The AHI Swim team is a family-oriented recreational youth swim team, which inspires young swimmers to do their best as a valuable member of the team, encourages mentorship among swimmers, teaches good sportsmanship, and strives to improve youth swimmer performance at all levels. The American Swimming Coaches Association is the leading organization in the world for the development of swimming coaches. Over 10,000 coaches are members from around the world. Among their reasons for joining ASCA are services for certification, education and to improve the cooperation for the coaches for the betterment of athletes in swimming around the world. Founded by a former USA Swimming National Team and Olympic Trial competitor, Aquatic Jobs Network has come a long way from its beginnings as an idea. When we first started out, our passion for helping others find meaningful work, contributing to drowning prevention efforts and bringing aquatic professionals together by providing a unique place the aquatic community can call their own drove us to action and gave us the impetus to turn hard work and inspiration into to a booming online meeting place. Blackhawk Country Club is a private and prestigious golf club located in the east bay at the foot of Mt. Diablo. Surrounded by natural beauty and stunning architectural luxury homes Blackhawk has earned a reputation for providing the ultimate experience in golf, fine dining, social and recreational activities to its members and guest. Blackhawk Country Club has been proudly recognized as a Distinguish Emerald Club by Boardroom magazine and continues to maintain a high level of excellence to its members. Equipped with two prized 18 hole golf courses, two beautifully decorated club houses, Olympic size swimming pool, tennis courts, fitness center and recreational parks, Blackhawk Country Club is a place where everybody feels welcome and proud to be part of. 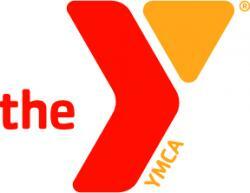 Cape Fear Aquatic Club is part of the YMCA of Southeastern North Carolina in Wilmington, North Carolina. Cape Fear Aquatic Club’s current membership is comprised of about 90 athletes (ages 6-18), spanning all competitive levels. Cape Fear Aquatic Club’s Mission is to develop swimmers to their fullest capabilities while also teaching life balance, sportsmanship and dedication to the rewarding sport of competitive swimming. The Chico Area Swim Association (CASA) is a non-profit organization under the sanction of USA Swimming that is governed by a Board of Directors. We offer a wide range of programming that is intended to provide a positive swimming experience for the entire spectrum of swimmer, from the beginner to the more experienced athlete who competes at a very high level. Our programming includes MiniJets for younger swimmers, a SummerJet program to support seasonal swimmers, the Chico AquaJets Swim Team to support age-group competitive swimming, and a Masters swim program. We provide the coaching, facilities, encouragement, and opportunity for athletes to experience a highly rewarding and fun group experience in the sport of swimming while achieving their maximum individual potential. The Chico AquaJets swim team began as a summer recreational program for Chico youngsters in 1949 and remains one of the longest standing swim clubs in the nation, with a history of excellence in swimming at many levels. CASA has produced two Olympic athletes and numerous athletes who went on to the collegiate level in various divisions. Cupertino Hills is a member-owned swim and tennis club located west of Bubb Road, near the Monta Vista neighborhood. Our beautiful, three-acre facility provides relaxed recreational and social activities for families of all ages. Cupertino Hills also offers six tennis courts, a six-lane 25-yard pool, a shallow training pool for younger children, an activity center for meetings and parties, two outdoor barbeque-picnic areas, a children's playground, volleyball and table tennis. Our activity center has been recently remodeled. The Dayton Raiders is a 501(c)3 non-profit organization and has been around since 1978. Prior to that, they were known as the Dayton Dolphins established in the early 50’s! The strength of the team without a doubt, lies in its coaching staff, their passion, selflessness and the unique ability to serve the youth of our hard working, middle class families that have comprised the majority of our members over the years. We have persevered for years by swimming in all bodies of water across the Greater Dayton Area, some barely fit to swim in, and most which have closed and been filled in. So, our path is unlike most of the other Gold Medal Teams, but we have developed (1) Olympian, (2) Senior/Numerous Junior National Champions, an American Record Holder, a Junior World Record Holder, Junior World and Jr. Pan Pac members, 2x Junior National Team Champion, numerous Ohio State High School Champions and Record holders and numerous JO Age Group Champions. Not too bad for a club under 200 for the past 70+ years. DMSF is a non-profit competitive swim team based in the Des Moines metro. Established in 1982, the program was designed to give athletes the opportunity to develop and perform at their highest level, which has included several athletes for USA National level meets and US Olympic Team Trials. The primary goal of DMSF is to provide the opportunity for each and every swimmer participating in the DMSF swimming programs to progress to the highest competitive level he or she is capable of achieving. Our team currently consists of four different training groups ranging from developmental team swimmers through senior levels, encompassing 110 athletes and counting, ranging from 6 to 18 years of age. The Durango Swim Club is a competitive swim club in Durango, Colorado. We are a non-profit 501 (c) (3) organization run by a volunteer parent board. The goal of the Durango Swim Club is to create lifelong swimmers who are technically sound in all four strokes. Additionally we build responsible, considerate, honest swimmers. We run a values based organization. Our intent is to teach life skills through the sport of swimming, such as self-discipline, work ethic, and commitment. Our s wimmers consistently compete in the Western Slope League Championships, Colorado State Championships, Zones, Sectionals and have had a few appearances at Futures and Jr. Nationals. All of our coaches, as members of the American Swimming Coaches Association, have access to the most comprehensive training and certification program for youth coaches of any sport in the United States. They provide assurances that the time children spend in swimming will be quality time. The Durango Swim Club is a USA Swimming affiliated club team. The team practices at the Durango Community Recreation Center. Eagle Swimming Association was established in August 2006 with the goal of building a swimming community in the southern half of Humble School District. It is a non-profit organization that features a competitive age group and senior swim team that offers swimmers in the Humble area an opportunity to excel in the sport of swimming. As a member of Gulf Swimming and USA Swimming, the goal of Eagle Swimming Association is to provide every member an opportunity to improve swimming skills and achieve success at his or her ability level. Eagle Swimming Association creates an environment where swimming excellence is pursued with courage. Eagle Swimming Association trains out of two pools located at Atascocita High School and Summer Creek High School with practices offered during the week to all ages and abilities. The Team attends local, regional and national USA Swimming meets and events. Over the years, Eagle Swimming Association has been a top 18 and under swim program in Gulf Swimming and USA Swimming. In 2015 and 2016 Eagle Swimming Association was Nationally Recognized as a Bronze Medal Club of Excellence. ESA is a level four-club recognition program, which is the highest in USA Swimming. The Flying Fish Arizona Swim Team (FAST-AZ) is a year-round competitive swim team, offering high quality coaching and technique instruction for swimmers of all ages and abilities. The goal of our team is to provide athletes the opportunity to improve swimming skills while emphasizing individual progress, team-unity and family participation. Fox Hunt Swim Club is a private summer swim club located in a Northern Virginia neighborhood. The Splash, it's swim team, is a part of the Northern Virginia Swim League, one of the largest summer swim leagues in the nation. Fox Hunt is a community pool that brings together families from all backgrounds, including those looking for summer relaxation and recreation, summer NVSL swimmers and competitive US swimmers from some of the most competitive teams in the nation. No matter why families join Fox Hunt, our board of directors is committed to ensuring that everyone finds inclusion and a welcome home here. Highlands Ranch Aquatics Club is a 501(c)3 non-profit organization that has been developing swimmers at the local, state, and national level for over 20 years. Located in Highlands Ranch, a 22,000-acre master-planned community founded in 1981. The community has a population of 96,000 people. Highlands Ranch is located 12 miles south of Denver in Douglas County and offers a wonderful quality of life and opportunities for an active lifestyle. The Highlands Recreation District is dedicated to providing beneficial, safe and enriching programs and services to the Highlands Community. We offer licensed childcare for infants through age 12, a thriving swim program for all ages and abilities, rooms rentals for meetings and celebrations, and countless other recreational enrichment programs for all age and activity levels. The Highlands Rec pool offers year round swimming in comfortable 83-degree water, with trained lifeguards on duty during all operating hours. During the winter months, the pool is covered by a dome to keep swimmers warm and spectators dry. The pool also offers a diving board, a baby pool, and a water slide (April-October). Homer High is an outstanding school of approximately 400 9th -12th graders that excels academically and athletically. Homer is one one of the most beautiful places in the world and a community that values outdoor adventure, the arts and being good, friendly neighbors. 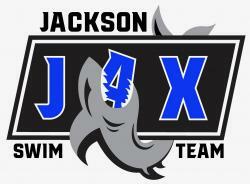 Jackson Swim Team is a comprehensive swim program offering a competitive team, a recreational league, swim lessons, and adult swimming options. The JCC Bridgewater Tide (BWTD) is a year round competitive swim team offering high level professional coaching and technique instruction for swimmers ages 6-18. Our swimmers range in ability from novice to regional level competitors, and the goal of our team is to provide every member an opportunity to improve his or her swimming skills and achieve success at his or her level of ability. The state-of-the-art Jenks Trojan Aquatic Center is located on the West side of the Jenks High School Campus. Entrance to the pool is off of North Birch Street between West B Street and West F Street in Jenks. The Center houses a variety of programs for all ages--from infants to senior citizens. 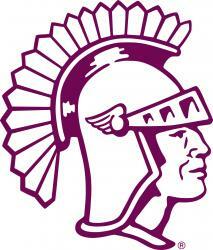 For children, we offer swim lessons, the Jenks Trojan Swim Club, and open lap swimming. Birthday party rental is also available. Adults will enjoy our fitness classes, swim lessons, Masters Swim Workouts, open lap swimming, stroke clinics and more. For a complete list of programs and classes, click on the link below. The Jenks Trojan Aquatic Center features two swimming facilities: Competition Pool The highlight of the new center, this true Olympic-size pool measures 50 meters long by 25 yards wide, with a minimum depth of 7 feet. It was designed as a world-class facility for competitive aquatic programs. Groups such as the Jenks High School Trojan Swim Team, the Jenks Trojan Swim Club, Tulsa Masters Swimming Club and others use the pool for practices and competitions. Cutting-edge technological advancements in water treatment and sanitation provide the clearest, cleanest water available. Renovated Instructional Pool The Instructional Pool measures 25 meters long by 15 yards wide, with depths ranging from 3.5 feet to 12 feet. Six swimming lanes are available for use by lap swimmers, aquatic fitness classes, swim lessons and more. This warmer-water pool, with temperatures ranging from 82-84 degrees, was designed for non-competitive aquatic programs. Lake of the Woods and Greenwoods is a traditional overnight camp for children ages 6 - 15 located in Decatur, MI. For 85 summers we have been providing the individual attention that each camper needs to be successful. Located under 3 hours from Chicago and Detroit, we attract campers and staff from all over the world. We're looking for enthusiastic and talented waterfront instructors for swimming, waterskiing, windsurfing and paddle boarding. Paid summer internships and positions available. Room and board provided. Lake Shore Swim Club is a growing club with a rich tradition of commitment, and success. We are located in Rocky River, Ohio. 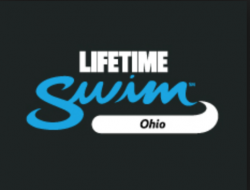 Lakeside Aquatic Club (LAC) is a competitive youth swim team that brings all levels of swimming to the area, from learn-to-swim programs to national level development. With over 1,100 swimmers, LAC is one of the largest and most successful teams in the state of Texas. LAC swimmers have achieved success at the highest national levels our sport has to offer. Among LAC's accomplishments: Olympic Trials and Paralympic Trials qualifiers, NCAA champions, and High School state champions. LAC can claim the following accolades: Two-time USA SWIMMING GOLD MEDAL CLUB - a quality designation awarded to only 20 of the approximately 3,000 USA Swimming clubs in the country CONSISTENTLY FINISHES IN THE TOP 3 AT TAGS (Texas 14u state champs meet), higher than other teams in north Texas 2016 & 2018 FIRST PLACE FINISH AT USA SWIMMING FUTURES CHAMPIONSHIPS VIRTUAL CLUB CHAMPIONSHIP RANKING OF 16TH IN THE COUNTRY, * measures clubs against one another and encourages the development of well-rounded competitive athletes. LAC has been in the top 25 for the last 3 years and ranked higher than all north Texas teams for the last 3 years. Founded in 1982, LAC operates in 5 facilities in 3 areas in North East Tarrant County and Southern Denton County: The Colony, Flower Mound/Lewisville and Keller. As a coach-run, board-supported organization, we employ 11 full time and 28 part-time employees, all of whom undergo background checks, athlete protection training, and the necessary safety and instructional courses required by USA Swimming and optional certifications from the American Swim Coaches Association. Lancaster Aquatic Club (LAC) is a non-profit, tax-exempt competitive swim club, whose purpose is to train athletes to compete at the highest level of individual ability. Begun in 1954, LAC has a rich tradition of swimming excellence. LAC has had national and world ranked swimmers for 65 years, and the tradition continues today. Our coaching philosophy is simple: provide a dynamic, positive, and hands-on training atmosphere where swimmers can improve their performance through progressive conditioning and stroke technique proficiency. The LAC program encompasses all age groups of USS swimming and is dedicated to doing everything possible to help the athlete, no matter what level, achieve his or her maximum potential. Our club goal is to promote the sport of swimming in a healthy and positive atmosphere while offering swimmers the opportunity to succeed at the highest level of competition, athletically, academically and personally. Laurel School, founded in 1896, is a nationally recognized, college preparatory, independent day school for girls, Kindergarten through Grade 12, with a coeducational Pre-Primary program. Laurel School’s Center for Research on Girls puts the world’s best research to work for girls – at Laurel and everywhere. Life Time champions a healthy and happy life for its members across 131 destinations in 36 major markets in the U.S. and Canada. As the nation’s only Healthy Way of Life brand, Life Time delivers an unmatched athletic resort experience and provides a comprehensive healthy living, healthy aging and healthy entertainment experience that goes well beyond fitness to encompass the entire spectrum of daily life for individuals, couples and families of all ages. 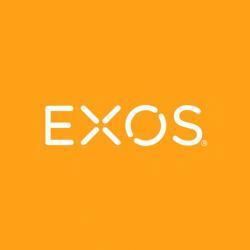 We work as a team, giving you the tools, products, education, and support you need to make the most of your career while living a healthy, happy life. Lost Creek Aquatics is a competitive swim program in Austin, Texas with three locations in Westlake, Lake Travis, and Cedar Park. Our mission is to nurture and develop our swimmers for success in competition and in life. With equal focus on technique, training, and personal attention, we take pride in being one of the finest and fastest growing swim programs in town. The Madison Area YMCA staff and volunteers work in an ongoing partnership to build a healthier, stronger community for children and adults of all ages. Through our philanthropic, early childhood education, wellness and youth development programs, we build community and work to assure that Y programs and services are available to everyone regardless of their economic circumstances. We operate with three core priorities: Youth Development, providing care and education for infants and preschoolers; and development for school-age children and teens through sports, athletics and leadership programs. Healthy Living, providing classes and programs to promote health and overall wellbeing. Social Responsibility, engaging the community in activities such as child protection education and philanthropic fundraising to assure broad access to Y programs and services. As a nonprofit 501(c)(3) charitable organization, the Y operates with a volunteer Board of Directors that, with the president & CEO, provides overall leadership and carries the fiduciary responsibility of the organization. Mariner Swim Club (MSC) allows swimmers to balance personal achievement and fun by developing competitive skills, values, and sportsmanship. 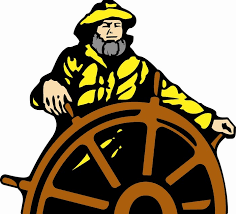 For over 40 years, Mariner Swim Club has built a reputation for excellence in the sport of swimming. Mariners is a comprehensive aquatics program for boys and girls 5 - 18. Mariners offers young swimmers a high degree of personal guidance and support within a carefully coordinated approach that balances personal achievement and fun. Open to any child who is interested in competitive swimming, Mariners provides a full spectrum of training opportunities, from a flexible after school and weekend practice schedule and learn-to-swim programs, to a competitive program of more intense training and rigorous goals. MSC is a long-standing member of USA Swimming and competes in USA Swimming sponsored meets as part of the MD Swimming LSC. 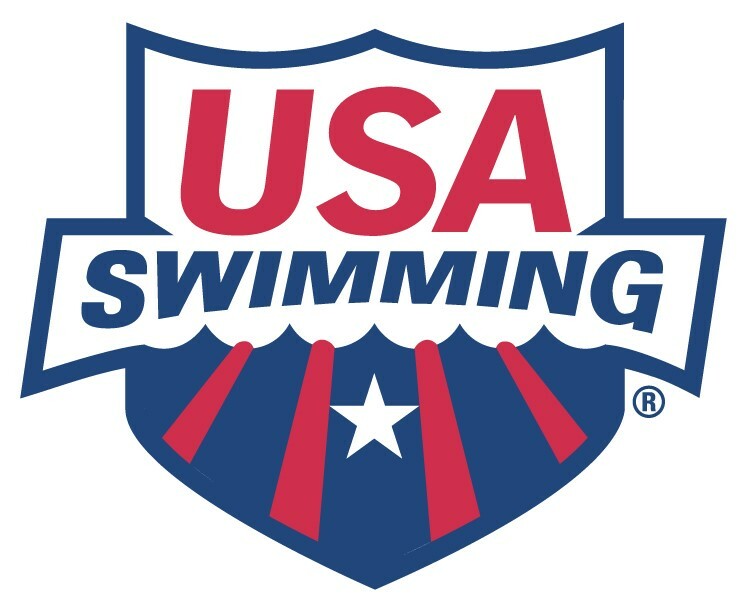 Mariner coaches are certified by USA Swimming, and work closely with each swimmer to ensure their success. Marlins Swimming, Inc. is comprised of swimmers from Spencerport and Greece, NY and the surrounding area. Our team is a year round competitive swim team offering high quality professional coaching and technique instruction for all ages and abilities. The goal of our team is to provide every member an opportunity to improve swimming skills and achieve success at his or her level of ability, from novice to international competitor. All of our coaches, as members of the American Swimming Coaches Association, have access to the most comprehensive training and certification program for youth coaches of any sport in the United States. They provide assurances that the time children spend in swimming will be quality time. We are a non profit club, run by an elected Board of Directors. We encourage a strong team and family environment. Want to be a part of a “Tradition of Excellence?” The Mission Viejo Nadadores have been around for the last 50 years and have a storied history in USA Swimming and on the National Stage. We’re looking for TEAM MEMBERS who actively want to be a part of a historic club and who can assist throughout the program with enthusiastic energy. The Murray Youth Swim Team is a year round aquatics program and competitive swim team offering high quality professional coaching and technique instruction for all ages and abilities. The goal of our team is to provide every member an opportunity to improve swimming skills and achieve success at his or her level of ability, from novice to international competitor. All our coaches, as members of the American Swimming Coaches Association, have access to the most comprehensive training and certification program for youth coaches of any sport in the United States. They provide assurances that the time children spend in swimming will be quality time. We are a non profit club, run by its elected Board of Directors which meets monthly.